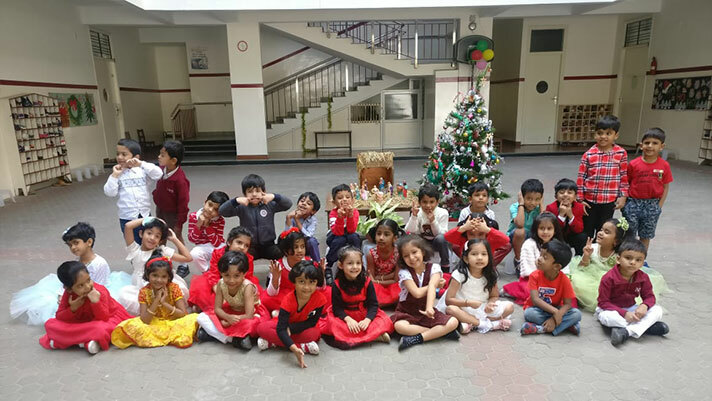 Christmas arrived early for the students of Kindergarten!! 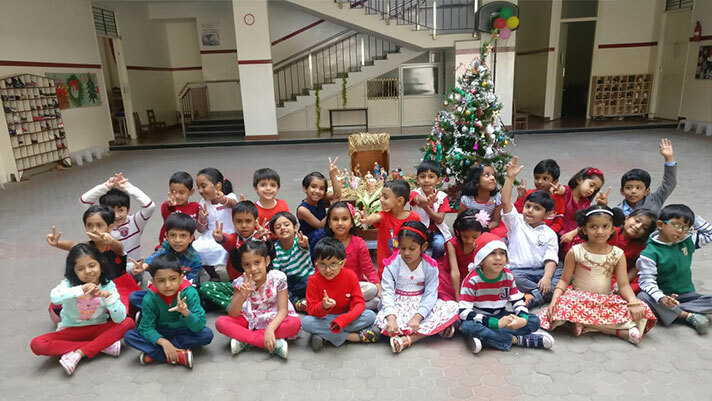 20th December 2018 was the day when the Christmas spirit was created for the students through a flurry of activities reminiscent of the auspicious day. 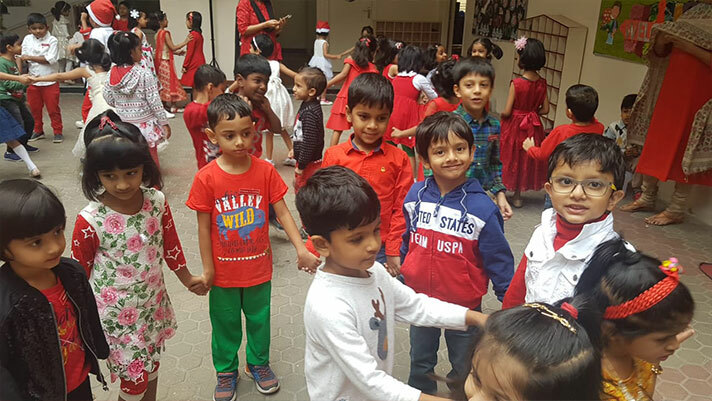 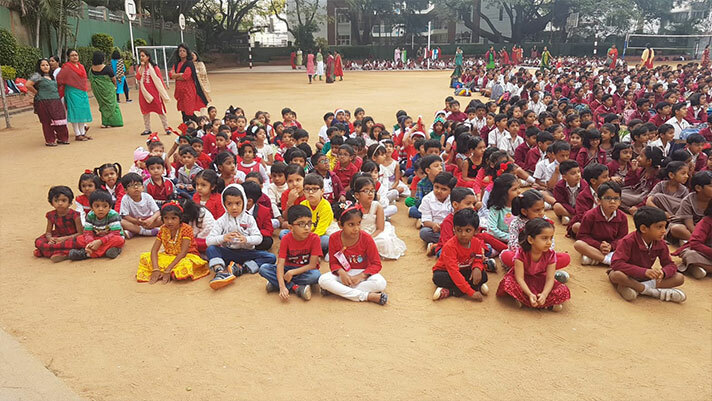 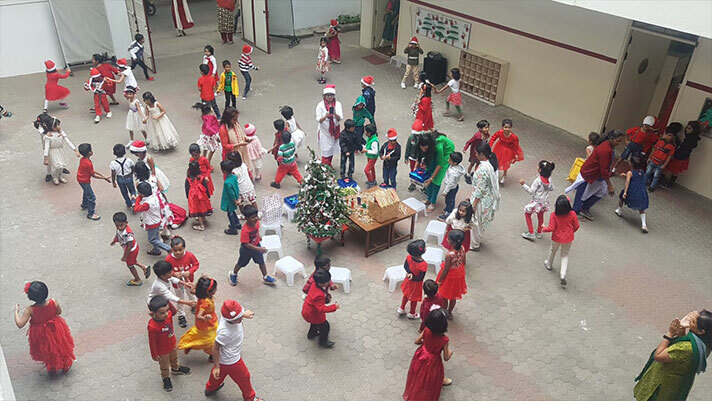 To create the right ambience, the children were encouraged to come dressed in Christmas colours, which could be a mix of red, green and white. 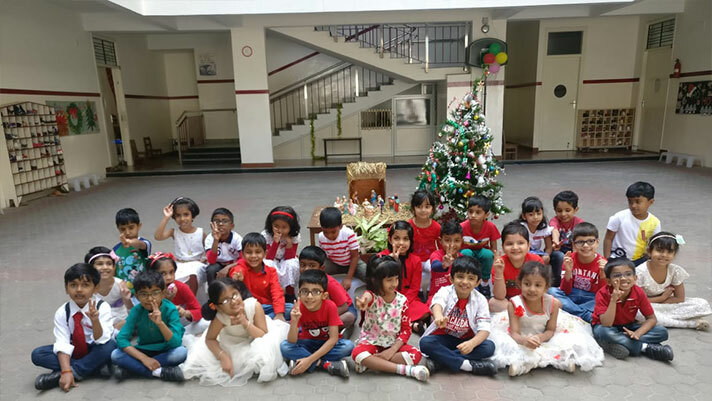 No Christmas celebration is complete without a tastefully decorated Christmas tree, and this is what caught the eye of the children as they trooped into the school in their Christmas best. 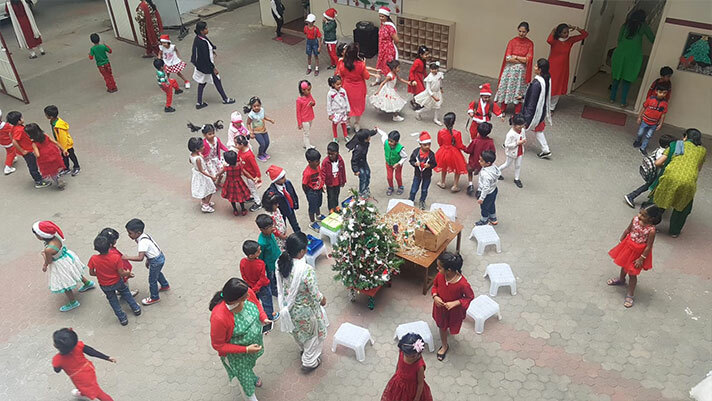 Children were also treated to some catchy Christmas carols, after which they were taken to the main building for joining the School Christmas celebrations. 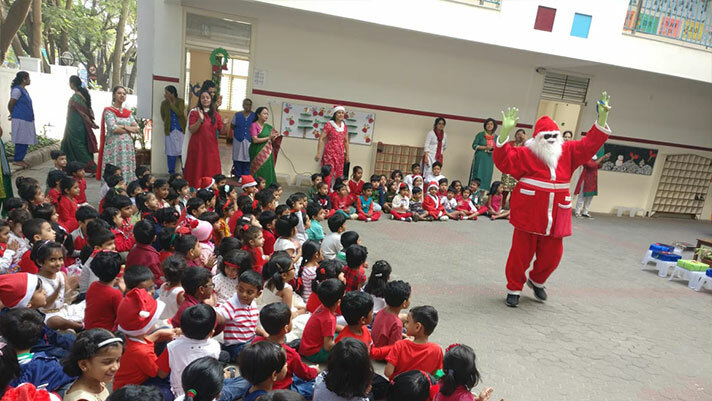 The strains of the iconic Christmas song, Jingle Bells rent the air as Santa made his appearance in a bicycle!!! 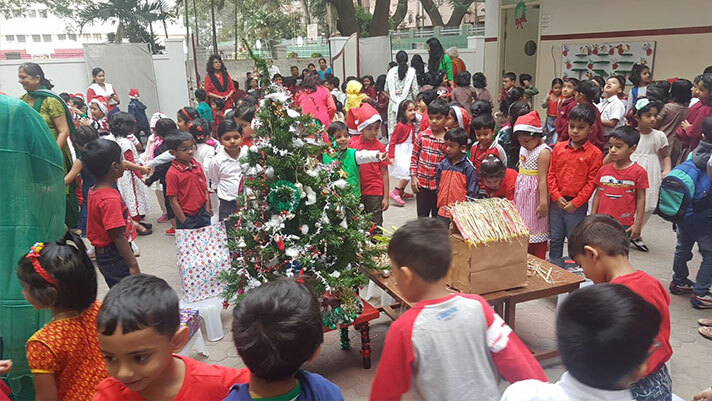 Innovative thinking indeed, and a thumbs up for a eco-friendly Santa!! 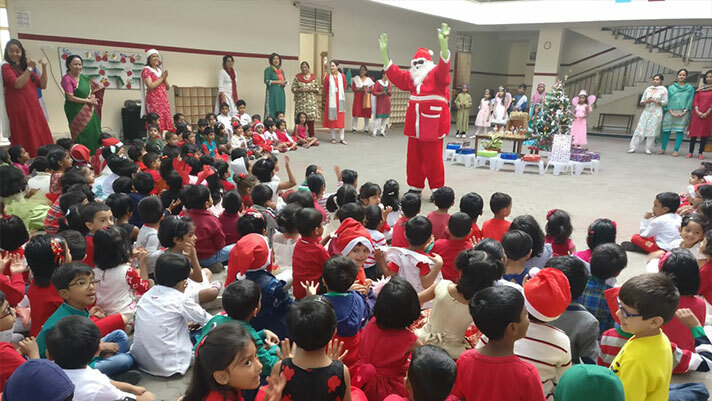 The children thereafter returned to the KG building to receive Santa as he made his appearance there. 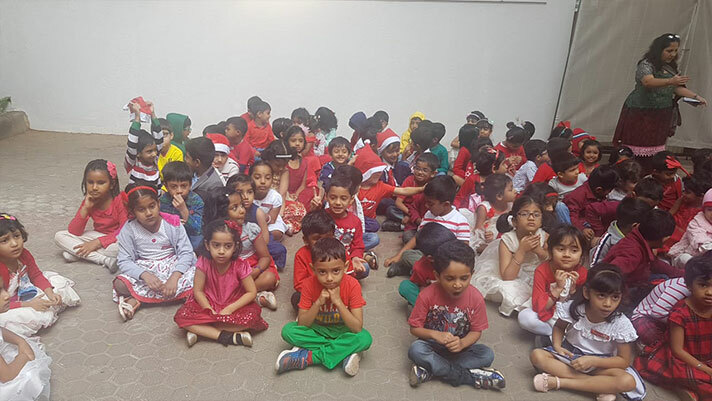 It made their day when Santa gave each KG section a box of goodies, which the students relished during their class party. 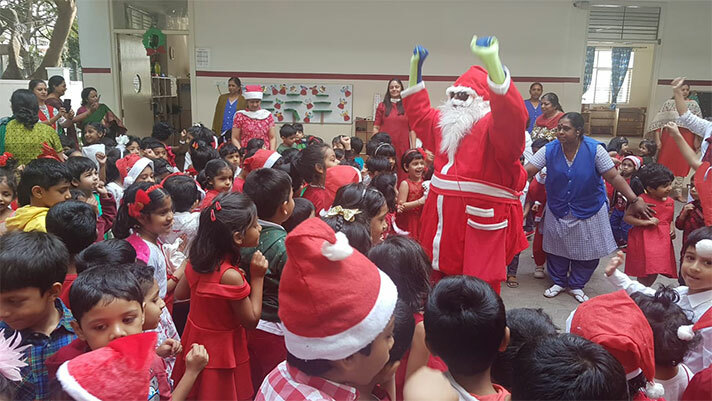 Their joy knew no bounds when Santa joined them as they danced to various Christmas carols. 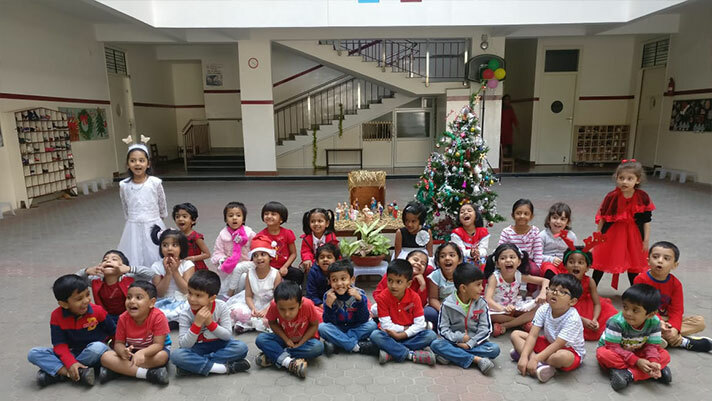 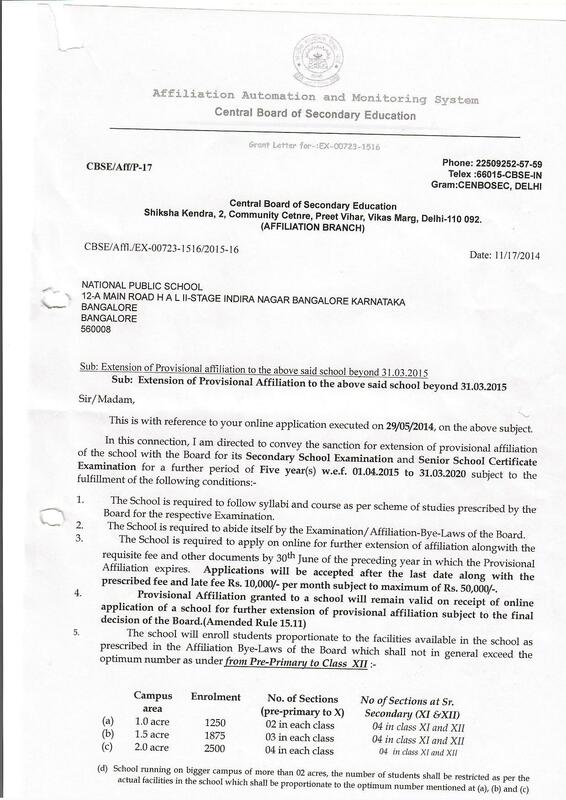 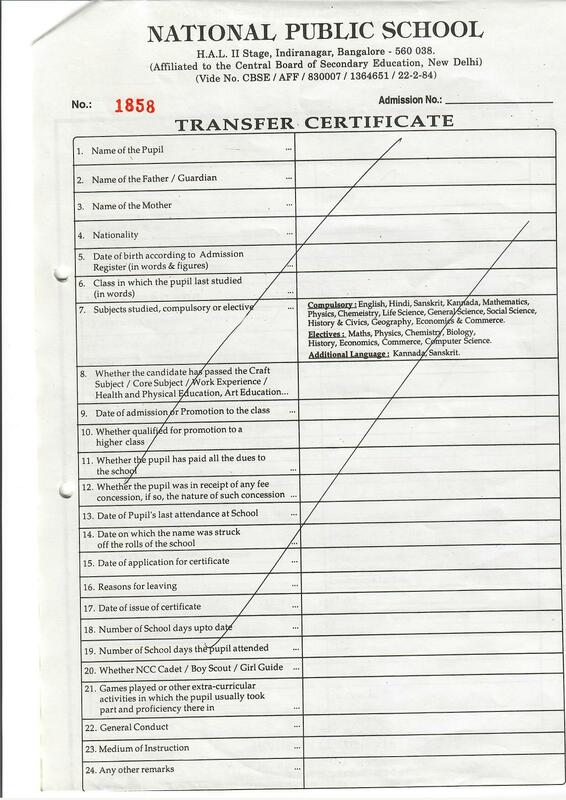 A most memorable day indeed for the children of KG.